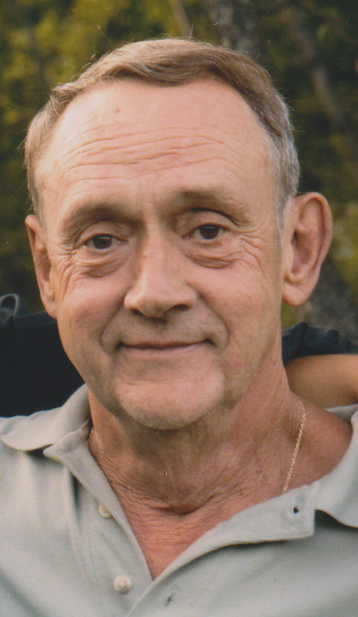 Charles E. Bennett, 71, of 91 Pete's Blvd, Bradford, passed away, Saturday September 1, 2018, at his residence, after a courageous battle with cancer, surrounded by his loving family. Born March 8, 1947 in DuBois, he was a son of the late Francis and Josephine (McKay) Bennett. Mr. Bennett was a 1965 graduate of Ridgeway High School. On July 8, 1965, he enlisted in the United States Marine Corp, he served with the Mike 3-9 Company. He served one tour of battle in Vietnam at the Tet Offensive, and one Medeterarian tour. He was honorably discharged a Corporal on March 14, 1971. He was awarded the National Defense Service Medal, the Vietnam Service Medal with 3 Bronze Stars, the Vietnam Campaign Medal wih device, the Presidential Unit Medal Citation and three Purple Hearts. On November 20, 1971 in Bradford, he married Christina C. (Capinjola) Bennett, who died August 7, 2018. He was a member of St. Bernard Church. He was an avid outdoorsman, loved to hunt. His greatest joy came from traveling with his wife and family throughout his life. He had been employed at Zippo Manufacturing for 20 years. Surviving are two daughters, Joey Marie Ford, and Francine (Jude) Luke, two sons, Scott Michael (Sherrie) Bennett and Jeffery Thomas Bennett, all of Bradford, nine grandchildren, two great grandchildren, and several nieces and nephews. He was preceded in death by his parents, wife, one brother, Larry Bennett, three sisters, Frances Johnson, Margaret Wright, and Alice Ditch. Family will be receiving friends on Friday September 7, 2018, from 4:00 to 7:00pm in the Hollenbeck-Cahill Funeral Homes, Inc., 372 East Main St., and again on Saturday from 9:30am to 10:30am. A Mass of Christian Burial will be celebrated at 11:00am Saturday in St. Bernard Church with Rev. Raymond Gramata. Full Military Honors will be accorded after the Mass in St. Bernard Cemetery. Memorial contributions, if desired, may be made to St. Bernard Church PO Box 2394 Bradford, PA 16701. Scott, Francine,Joey and Jeff..So sorry for your losses! Thankfully their suffering is over and they are together again! Our Deepest Sympathy In the Loss of your Father and Mother! Praying for God to give the family Peace, Strength, and Comfort during this difficult time!! This must be a very difficult time for your family. Please know that God is aware of the sadness that you feel. May the peace that only he can provide calm your hearts day by day (Phil 4:7). And may good memories of both Charles and Christina help you to smile. I am very sorry for your losses. Joey, Francine, Scott and Jeff, my deepest condolences for the loss of your Dad, Ed, as in life, he continues to remain by your Moms side. Completely heartbroken for each of you. Scott and family, Another shock so close to your mother''s passing has to be overwhelming. Please take some comfort in knowing they where never suppose to be apart. You will see them again. Prayers for the family, RIP Chuck. All our love and prayers to the Bennett family. We love you Ed, Give Chris a kiss and hug for us dear friend.